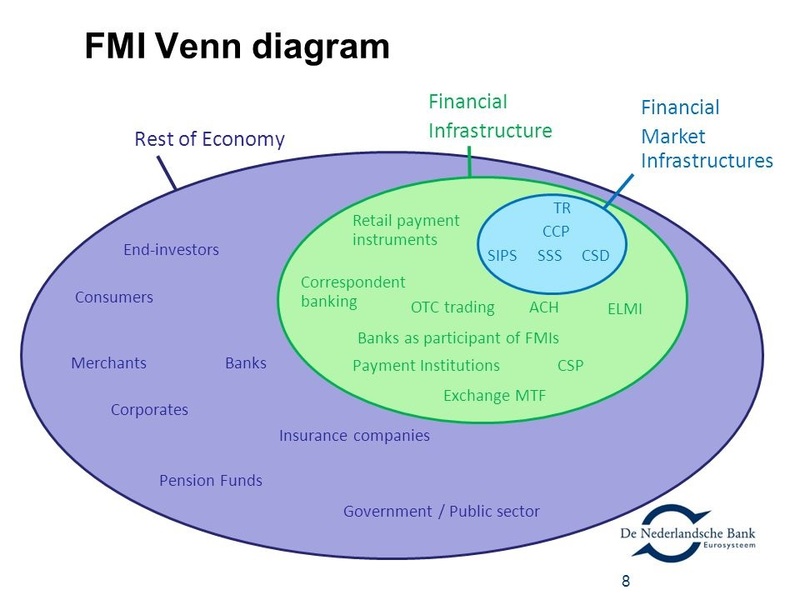 What is FMI? More on that later. But first, let’s talk about Bitcoin. If you aren’t familiar with the Bitcoin block size war and its endless online shouting matches which have evolved into legal and even death threats, then you have probably been a very productive human being and should sell hugs and not wander into a non-stop social media dance off. Why? Because tens of thousands of man (and woman) hours have collectively been obliterated over a struggle that has illuminated that Bitcoin’s development process is anything but permissionless. In some documented cases, several dozen executives from VC-backed Bitcoin companies have spent thousands of hours debating this size attribute instead of building and shipping commercializable products. But hey, at least they sell cool hats and built up very large Twitter followings, right? Fact #1: Satoshi Nakomoto did not ask anyone’s permission to launch, change, or modify the codebase she unilaterally released in 2009. In the approximately seven years since she stopped posting under her pseudonym, influential elements of Bitcoin’s anarchic community have intentionally created a permissioned developer system commonly referred to as the Bitcoin Improvement Proposal (BIP) process. “Bitcoin Core” is the name for the group that self-selected itself to vet BIPs; involvement is empirically permissioned because you can get kicked off the island.1 There are a small handful of decision makers that control access to the code repository. For example, if you’re a developer that wants to create and launch a new implementation of Bitcoin that includes different block sizes… and you didn’t get it approved through this BIP process, guess what? You are doing permissionlessness wrong because you didn’t get permission from the BIP approval committee to do so. Oh, but you realize that and still want to launch this new Bitcoin implementation with the help of other elements of the community, such as some miners and exchanges? According to some vocal members of the current BIP approval committee (Bitcoin Core) and its surrogates, this is an attack on Bitcoin. Obviously this is absurd because there is no de jure or legally defined process for changing or forking Bitcoin, either the chain itself or the code. There is no terms of service or contract which explicitly states what Bitcoin is and who controls its development process. Or more historically: if Satoshi didn’t need permission from a (non-existent) BIP approval committee to launch a cryptocurrency, then no other Bitcoin developer needs to either. Fast forward to this current moment in time: if the Bitcoin Cash or Segwit2X forks are an attack on network because either fork did not get ack’ed (approved) by the right people on the BIP approval committee or retweeted by the right “thought leaders” on social media, then transitively every 10 minutes (when a block is generated by a miner) arguably could be an attack on Bitcoin. Why? At any time a block maker (miner) could use a different software implementation with different consensus rules. They, like Satoshi before them, do not need permission to modify the code. Oh, but other miners may not build on top of that block and some exchanges may not recognize those blocks as “legitimate” Bitcoin blocks? That is certainly a risk. In fact, several exchanges are now effectively white listing and black listing — permissioning — Bitcoin-related blocks. The “BTC” ticker will remain the Bitcoin Core chain before the hard fork block. Bittrex will observe the Bitcoin network for a period of 24 to 48 hours to determine if a chain split has occurred and the outcome. In the event of a chain split, “BTC” will remain the existing Bitcoin chain with 1 MB blocks until the industry and ecosystem demonstrates a clear chain preference for Bitcoin. The incumbent implementation (based on the existing Bitcoin consensus protocol) will continue to trade as BTC even if the B2X chain has more hashing power. After heavy public (and private) lobbying by members and surrogates of Bitcoin Core, other exchanges have instituted similar policies favoring the incumbent.2 So what can alternative implementations to do? 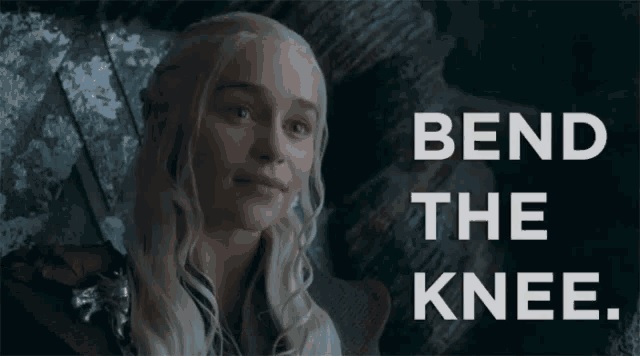 Bend the knee? Historically miners have built on the chain that is both the longest and also has the most accumulated difficulty… and one that has enough profitability to pay for the electricity bills. It just happens that this collective block building activity is never called an “attack” because in general, most participants have been happy enough with the status quo. Visions of what Bitcoin is and how it should be defined have clearly, empirically shifted over time. But since this network was purposefully designed to be self-sovereign and anarchic — lacking contracts and hooks into any legal system — no one group can claim legitimacy over its evolution or its forks. This has now morphed into what the “BTC” ticker on exchanges represents. Is it the longest chain? The chain with the most accumulated difficulty? The chain maintained by Bitcoin Core or now defunct NYA developers? If a group of block makers can build blocks and exchanges are willing to list these coins as “BTC” then that specific chain has just as much legitimacy as any other fork other miners build on top of and exchanges may list. Furthermore, if the BIP approval committee gets to say what software miners or exchanges should or should not use (e.g., such as increasing or decreasing the block size), that could mean that existing network is a managed and even administered. And this could have legal implications. Recall that in the past, because block making and development were originally separate, FinCEN and other regulators issued guidance stating that decentralized cryptocurrencies were exempt from money transmission laws. Despite what the trade associations and Bitcoin lobbying groups would like the narrative to be, I recently published an article that went into this very topic in depth and have publicly asked several prominent “crypto lawyers” to provide evidence to the contrary (they have yet to do so). An argument could be made that these dev groups are not just a loose collective of volunteers. I’m not defending S2X or XT or Bitcoin Unlimited. In fact, I have no coins of any sort at this time. But even if you don’t own any bitcoins or cryptocurrencies at all, the block size debate could impact you if you have invested in the formal financial marketplace. For example, if and when the CME (and similar exchanges) get CFTC approval to list cryptocurrency-related futures products and/or the NYSE (and similar exchanges) get SEC approval to list cryptocurrency-related ETFs, these products will likely result in a flood of institutional money. Once institutions, regulators, and sophisticated investors enter the picture, they will want to hold people accountable for actions. This could include nebulous “general partnerships” that control GitHub repositories. Recall, in its dressing down of The DAO, the SEC defined the loose collective building and maintaining The DAO as a ‘general partnership.’ Is Bitcoin Core or other identifiable development teams a “general partnership”? Maybe. 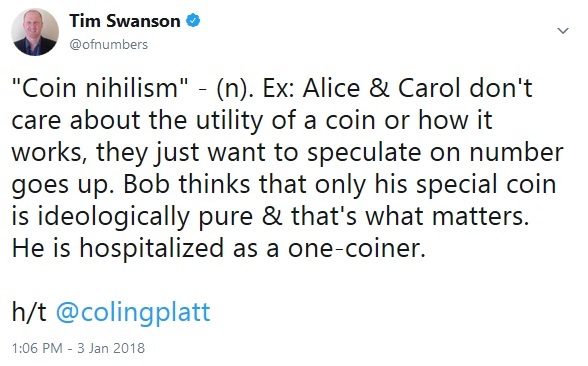 In fact, the common refrain Bitcoin Core and its surrogates continually use amounts to arguments in favor of a purported natural monopoly. This is problematic for a couple reasons. First, Joi Ito is not a disinterested party in this debate. Through Digital Garage (which he co-founded) it has invested in Blockstream, a company that employs several influential Bitcoin Core devs.4 Ignoring the potential conflict of interest, Ito’s remarks echo a similar sentiment he also made last year, that Core is basically “The Right Stuff” for NASA: they are the only team capable of sending humans into space. But this is an empirically poor analogy because it ignores technology transfer and aerospace education… and the fact that multiple countries have independently, safely sent humans, animals, and satellites into space. It also ignores how competitive verticals typically have more than just one dominant enterprise: aerospace, automobiles, semiconductor manufacturers, consumer electronic manufacturers (smart phones), etc. 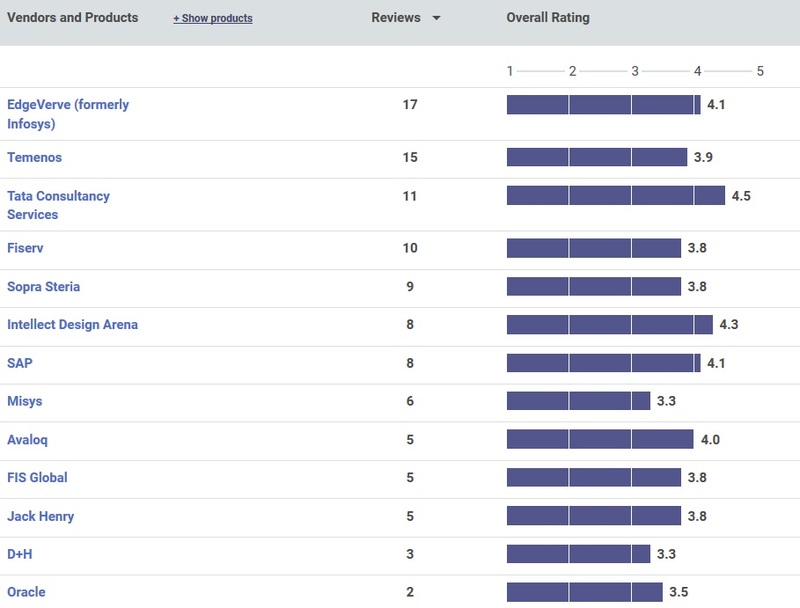 Each of these has more than one company providing goods and services and even usually more than just one product development team developing those. Intel, for example, has dozens of design teams working on many new chips at any given time of the year. And they are just one of the major semiconductor companies. Even in the highly regulated markets like financial services there is more than one bank. In fact, most people are unaware of this but banks themselves utilize what is called “Core Banking Software” and there are more than a dozen vendors that build these (see image below). On the enterprise (non-anarchic) blockchain side of the ecosystem, there are well over a dozen funded teams shipping code, some of which is being used in pilots by regulated institutions that are liable if a system breaks. Note: this is something I discussed in my keynote speech (slides) at the Korea Financial Telecommunications and Clearings Institute last year. But as one vocal Core supporter in a WeChat room recently said, Bitcoin Core is equivalent to Fedwire or Swift, there is only one of each; so too does it make sense for only one Bitcoin dev team to exist. Firstly, this conflates at least four different things: a specific codebase, with permissioned dev roles, with acceptance processes, with a formal organization. If this supporter is equating Core, the codebase, with real financial market infrastructure (FMI), then they should be prepared to be potentially regulated. Bitcoin Core and many other centralized development teams are comprised of self-appointed, vocal developers that are easy to identify (they have setup verified Twitter accounts and attend many public events), so subpoenas and RFI’s can be sent their way. Remember that Venn diagram at the very top? The companies and organizations that manage FMI today for central banks (RTGSs), central securities depositories (CSDs), and other intermediaries such as custodians and CCPs, have specific legal and contractual obligations and liabilities. Following the most recent financial crisis, the G-20 and other counties and organizations established the Financial Stability Board (FSB) to better coordinate and get a handle on systemic risks (among other issues). And while the genesis of the principles for financial market infrastructures (PFMI) had existed prior to the creation of the FSB, how many of the international PFMI standards and principles does Bitcoin Core comply with? Spoiler alert: essentially none, because Satoshi intentionally wasn’t trying to solve problems for banks. So it is unsurprising that Bitcoin isn’t up to snuff when it comes to meeting the functional and non-functional requirements of a global payments platform for regulated institutions. 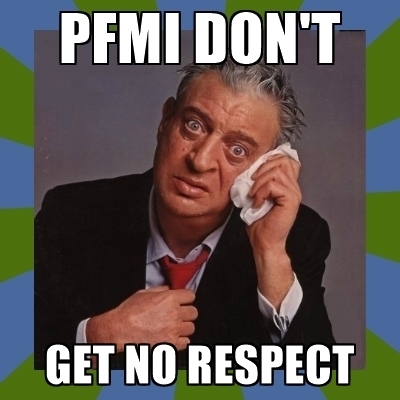 Fact-check me by reading through the PFMI 101 guide. When presented with these strong legal accountability and international standards that are part and parcel with running a payment system, there is lots of hand waving excuses and justifications from Core supporters (and surrogates) as to why they are exempt but if Core wants to enforce its monopoly it can’t have it both ways. Depending on the jurisdiction they may or may not be scrutinized as FMI. But in contrast, in looking at the evolution and development of the enterprise chain ecosystem – as I described in multiple previous articles – there are valuable lessons that can be learned from these vendors as to how they plan to operate a compliant network. I recall one conversation with several managing directors at a large US investment bank over a year ago: maybe the enterprise side should just have CLS run a blockchain system since they have all the right business connections and fulfill the legal and regulatory check boxes. Note: CLS is a very important FMI operator. Maybe existing FMI operators will do just that. Speaking of which, will Bitcoin Core (or other dev teams) apply to participate with organizations like the FSB that monitor systemically important financial institutions and infrastructure? Angela Walch has argued (slides) that some coders, especially of anarchic chains, are a type of fiduciary.8 Even if this were not true, many countries have anti-monopoly and anti-trust laws, with some exceptions for specific market segments and verticals. There are also laws against organized efforts involved in racketeering; in the US these are found within the RICO Act. I haven’t seen a formal argument as to why Core or other development teams could meet the litmus test for being prosecuted under RICO laws (though the networks they build and administer are frequently used for money laundering and other illicit activity). But trying to use the “decentralization” trump card when in fact development is centralized and decisions are made by a few key individuals, might not work. The big questions now are: once these teams are in charge, what will governments expectations be? What legal responsibilities and regulatory oversight will the developers have? Can they be sued for anti-trust and/or RICO violations? With billions of dollars on the line, will they need to submit upgrade and road map proposals for approval? 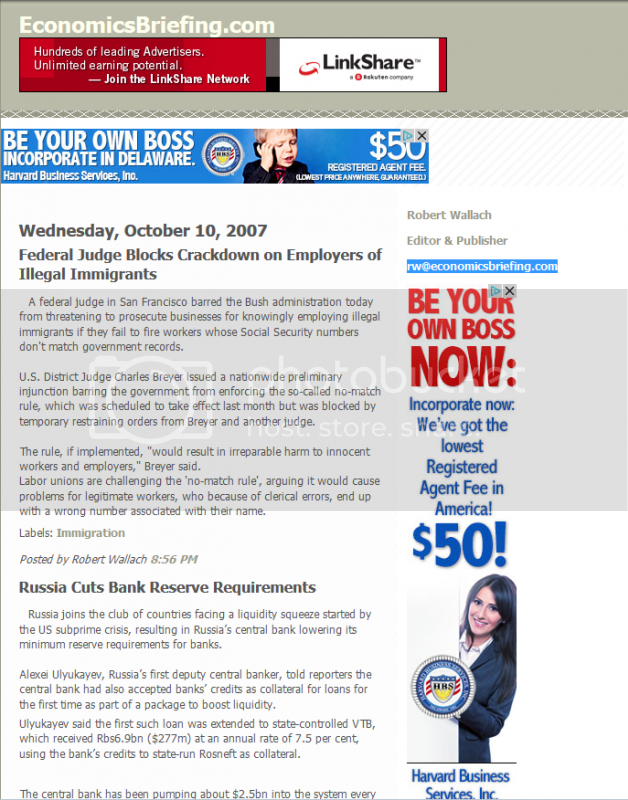 Yesterday I may have been given a SEO scheme purportedly devised by Robert Wenzel (just one alias, see bottom for other possible names) that supposedly allows its users to receive direct hyperlinks from sites like DrudgeReport.com. The scheme remains unharmed and no hacking took place to retrieve it. 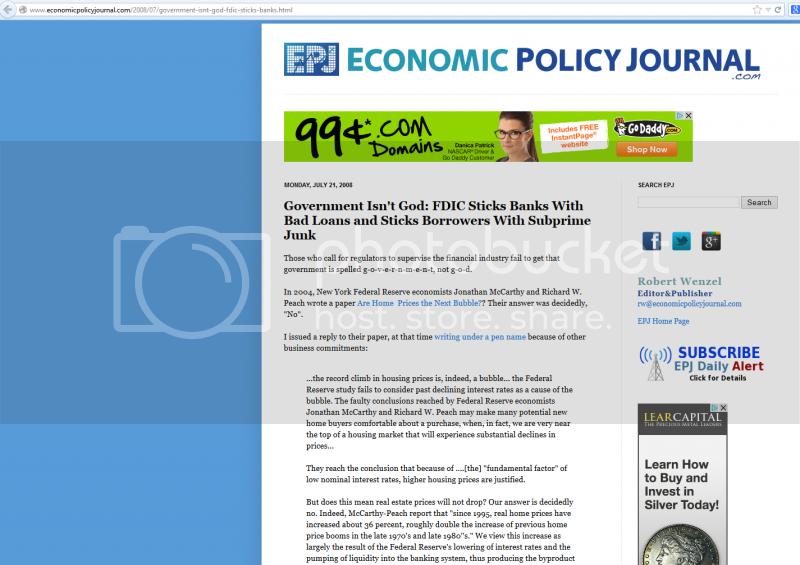 I would link to the website maintained by Robert called EconomicPolicyJournal.com (warning: IP malware) but users will inadvertently copy the entire contents of the website. Modern browsers such as IE, Firefox, Safari and Opera — by default — copy the content of websites that are visited into a temporary directory. This action instantly reproduces the exact CSS and HTML code on a given site and can be done without the express written permission of a site proprietor. Yet the original site remains unscathed, all of the information and data — the digitized mathematical patterns — remain unharmed. Anachronistically, Robert is under the impression that information is scarce. Here is an example to illustrate that information is not scarce. If you follow these instructions you will have successfully reproduced all information bit-by-bit without the original site losing anything. The integrity of the original data remains disabused on the host servers of TheOnion. Throughout each day, artificial intelligent scripts called “robots” or “spiders” continually scour the internet scanning, copying and pasting content — yet the sites they visit never are at a loss of property. The reason why is information is not scarce in the economic sense (see Scarcity, Rivalrous and Against Intellectual Property). Thus when robots and spiders created by Google, Yahoo, Bing and even Baidu to catalog the internet pore through your site, they are not “stealing” anything or acting as information pirates (nothing is stolen as the original remains unperturbed) but rather they are merely reproducing the exact data structures as they appear. And thus sites that Google or Bing scan, are not deprived of the original data. Or in layman’s parlance: no data or information is harmed in the making of this post. Yet time and again (I would link to his sites but do not want users to inadvertently, accidentally download other IP malware) Robert contends that some kind of theft is taking place. In other words, he contends that users have somehow physically taken something and he thus has the right to excise control over the patterns of data on your drives and ultimately the copies in your brain. You see, taken to the logical extreme, to prevent a user from reproducing data you would need some kind of thought police, some kind of enforcement program to bore inside each brain, to prevent the various neurons, axons and dendrils from copying and storing the information in the lobes (a scenario that Charles Stross explores in his novels). Or in otherwords, IP itself is a form of steampunk malware — imagined in the Age of Sail to protect existing business models and special interests by granting intellectual monopolies which would not exist in a free-market and are only enforceable via coercion (e.g., the state). A friend of a friend of mine recently sent me some troubling information (that has been reproduced perfectly bit-by-bit — without any harm or destruction done to the original copy). According to this contact, Robert Wenzel may have massaged part of a talk he gave at the Ludwig von Mises Institute. “If a peasant handed over his surplus grain, the state would get what it wanted. Any who did not were labelled ‘kulaks’ and, therefore, were ‘enemies of the state’ and suitably punished – along with their grain being confiscated. “He ordered ‘the destruction of kulaks as a class.’ . . . No one was quite sure, though, what was a ‘kulak’ and no one wanted to ask Stalin. . . .
“He ordered ‘the destruction of the kulaks as a class.’ No one was quite sure as to what determined a ‘kulak’ but no one in Moscow was willing to raise this issue with Stalin. While his whole talk is long block quotes from cited sources, why did he lift this without attribution from an encyclopedia narrative? Why is copying and reproducing okay to do in that circumstance, but not in others (e.g., copying a music file or movie)? A similar instance occurred during a recent debate between Wenzel and a patent attorney in which Wenzel restated the definition of multivariable calculus word for word, without citing the source (Wikipedia). This was not a “speech” at the in sense that Robert Wenzel was holding forth in front of large room full of Federal Reserve policy makers and analysts. I spoke with Richard Peach at the New York Fed: the “speech” was just Robert Wenzel having lunch in the dining room with two people — Richard Peach and one colleague — during which Wenzel read his speech to the two of them over lunch. This was not Netanyahu at the UN. Wenzel’s claim is misleading, it is disingenuous. I frequently walk nearby various CPC (Communist Party of China) buildings throughout the year. I have even talked about free-market ideas with a couple of my Chinese friends near those buildings. Yet it would be false of me to claim that I “spoke” at the CPC or that I gave a speech to Party officials. Which brings us back to the Drudge formula. Like all SEO, there is no ironclad mathematical formula to get on Drudge. Hyperbolic headlines, purported insider scoops, specific keywords and posting first — are all part and parcel to the SEO/SEM industry. That is how link-baiting sites like Business Insider and HuffingtonPost work. Yet no matter who buys/copies/transfers the purported formula, the original remains as unharmed as the day it was first assimilated — no information was destroyed or stolen. However Robert, like all people who communicate and convey information, must now compete with others who have observed and procured a non-scarce entity. So who is this Robert Wenzel character (rw@economicpolicyjournal.com)? 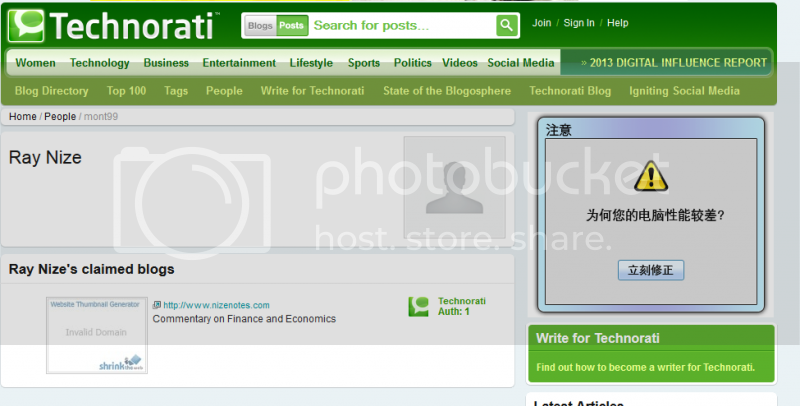 There used to be a site called EconomicPolicyReview.com (2007-2008) run by Raymond Salter (rs@economicpolicyreview.com). Here is a 2007 copy from TheWayBackMachine. He wrote near identical copy to EPJ today. 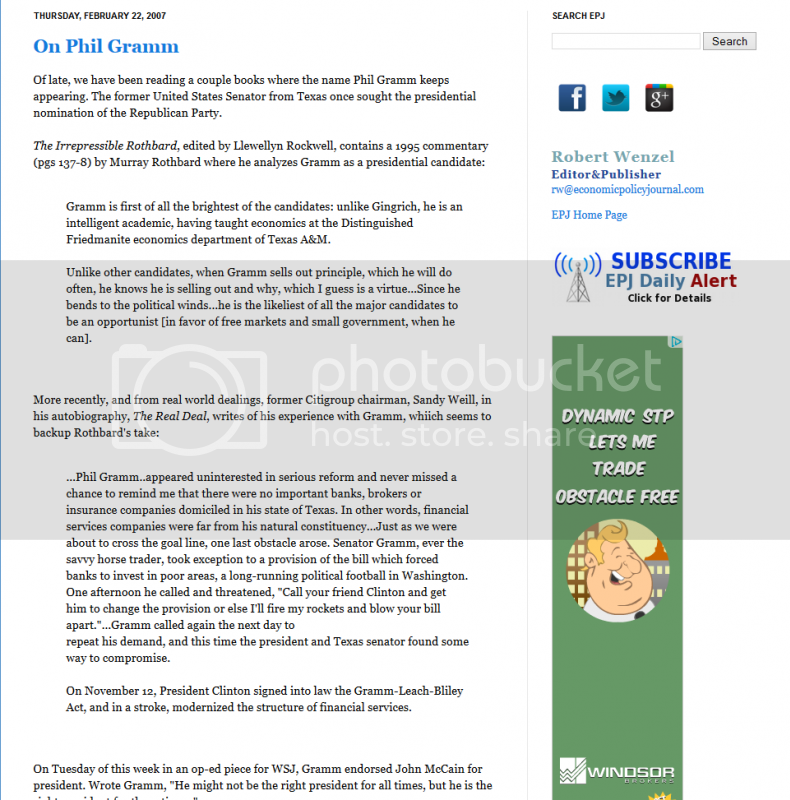 The Phil Gramm post on EPJ (careful IP!) is identical to the one on EPR (same date even). Here is a SS. 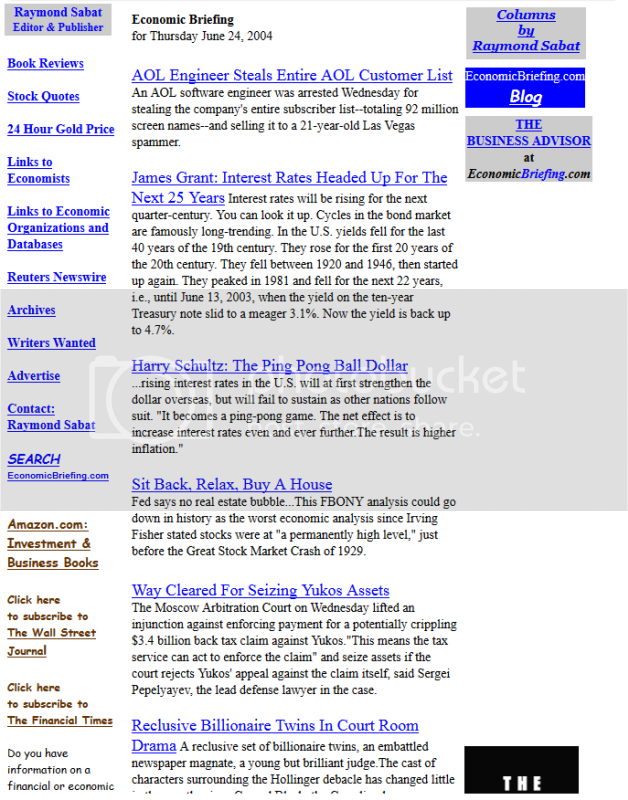 Prior to that was another similar site called EconomicsDaily run by Raymond Fuller (raymond.fuller@economicsdaily.com), here is a 2005 copy from TheWayBackMachine. During this time, Fuller even was involved in a spat with Gene Callahan (who used to be affiliated with the LVMI). Fuller also wrote similar copy and content as EPJ today. 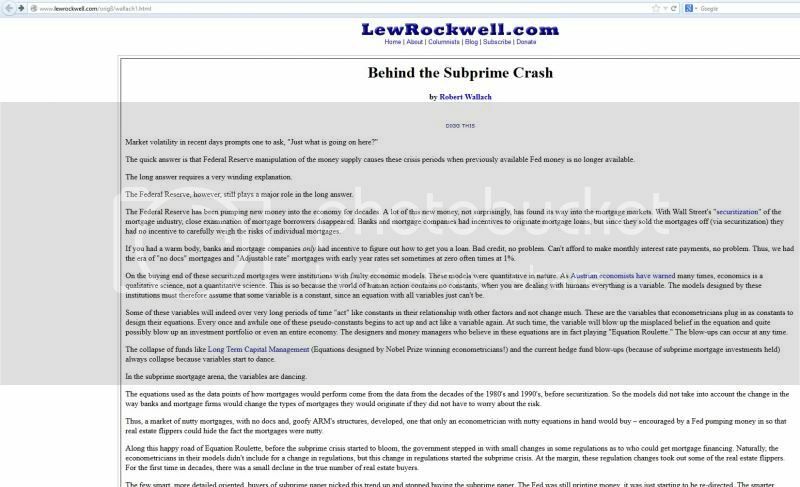 From 2002-2005 another site, Menrohm.com was maintained by Robert Menrhom (rm@menrohm.com), here is a 2005 copy which discusses some of the same topics (Freakonomics) and quoting libertarians like Justin Raimondo. In 2006 a Peter Stojan piece (SS) at LRC cites Raymond Keller (not Fuller) as a source of commentary. Stojan’s company (montreauxadvisors.com) does not exist. A 2006 copy of Raymond Keller’s site is up on TheWayBackMachine and Keller’s Blogger profile is expired but turns into (SS) Raymond Salter’s. Keller also wrote about economics (Freakonomics) and talks about his letters to the late LRC publisher, Burt Blumert. While it would be fallacious to connect those dots (guilt by association) consider the case of Los Angeles resident Raymond Nize, owner of Beacon Hill West and Nize Holdings. All of these sites have very similar look, feel and commentary to EconomicPolicyJournal.com and a few posts that are on all of the sites (with small changes) plus EPR also shows history going back to 2002 while it was really created in 2007. It is very likely that the same person is behind all of the Blogger sites but nothing besides the spartan aesthetic looks, content genre (all libertarian/econ), content layout (short blurbs/block quotes) and email addresses (similar style) confirms that. EPR seem to have been picked up in 2009 by other people and then dropped again, the domain is unowned at the moment. 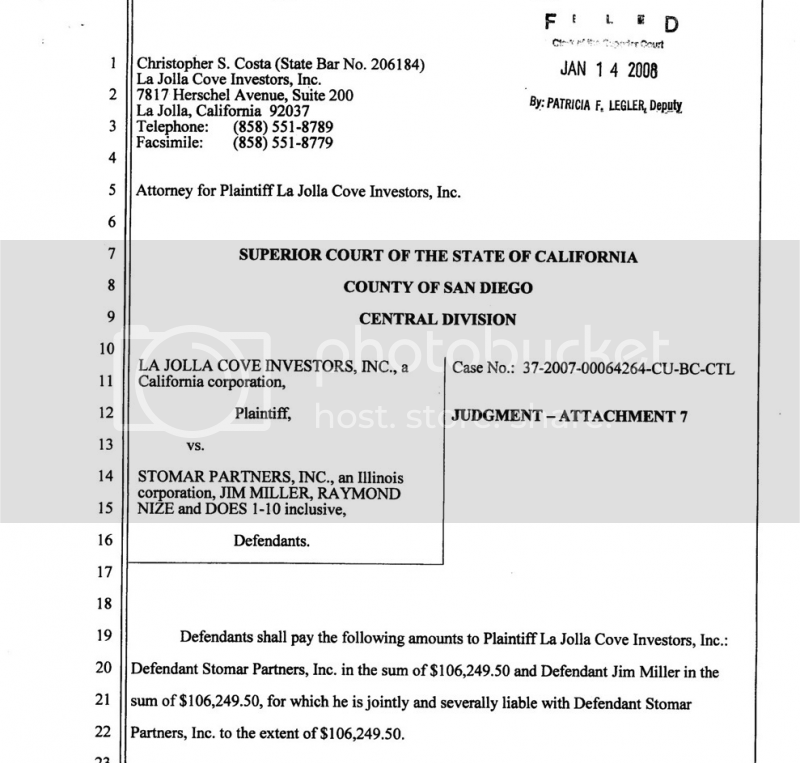 The smoking gun however, is a lawsuit filed (SS) on January 14, 2008 where Ray was named as a defendant in a case filed in California: La Jolla Cove Investors, Inc vs Stomar Partners, Inc, Jim Miller, Raymond Nize and Does 1-10 (case no: 37-2007-000642640CU-BC-CTL). 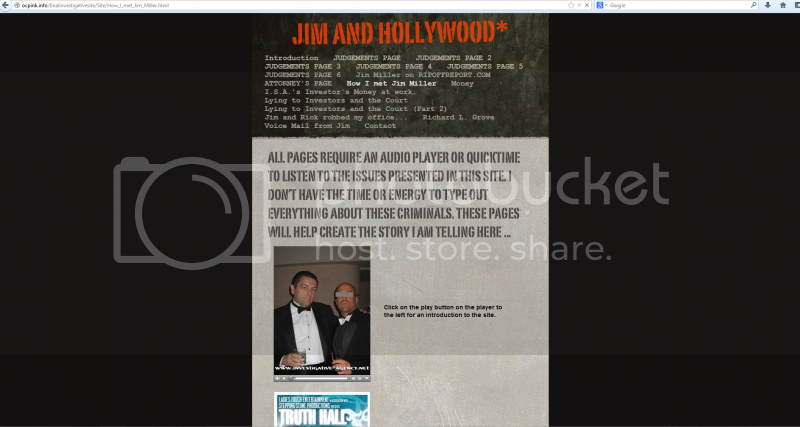 While I cannot weigh on the merits of the case (the plaintiff’s site is just one side of things… install Quicktime/IE for his 2nd monologue here), the plaintiff was apparently friends with Ray and his ex-gf. 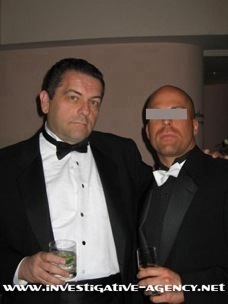 Here is a picture (SS) of Ray with the plaintiff (also seen at the top of this post). Compare that with his alias (Robert Wenzel’s) video from the LVMI speech last month (see side-by-side comparison at the bottom). Furthermore, if you do a WhoIs database search on EconomicPolicyJournal.com, it is registered to EPJ Holdings — to a Los Angeles address (5042 Wilshire Blvd) and the registered phone number (213-2593-55XX) is an area code for LA as well (SS). According to a friend of a friend who tipped me off on this, he suspects that there are many more aliases out there. I think it is more likely than not that Robert Wenzel is not his original name and probably even not his actual current name. And it seems like EPJ was his biggest success story so he stuck with that name because of that. Furthermore, it is hard to verify his claims of working at a hedge fund or in Wall Street itself let alone corroborate his purported predictions of booms and busts like the 2008 financial crash when he seems to have a history of backdating posts. And while I personally have no qualms with people reinventing themselves or even leading multiple lives this entire escapade is beginning to look more and more like the Libertarian Girl hoax (see here and here) with a dash of bravado from Catch Me If You Can, a dab of whodunnit from The Usual Suspects and a smattering of interconnected cast members from Cloud Atlas. Is Robert Wenzel/Raymond Nize the modern-day Keyser Söze? Or is he a mere internet sockpuppet? Update 1: another source just emailed the following information, there are two more similar sites. EconomicBriefing.com (copy at TWBM and SS) and EconomicsBriefing.com (copy at TWBM and SS). The last one was active 2005 and 2007, with two different authors. All linked to the alias, Raymond Sabat and a new one, Robert Wallach (rw@economicsbriefing.com). 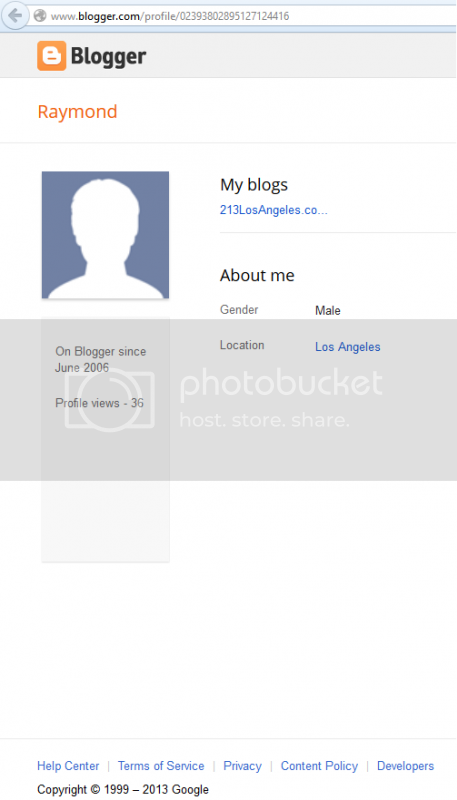 The latter has the same Blogger layout and the former is an already known alias. Both cover the same genre/topics and writing format as the other Wenzel/Nize aliases. Update 2: Over the night (or during the day depending on your time zone) there have been a few other sightings/uncoverings. It turns out a few years ago Bob Murphy accidentally uncovered one alias (Raymond Sabat) and didn’t know it at the time. At the time, Wenzel/Nize outs the same persona (SS), calling it a “pen name” that he used due to “other business commitments.” Another Raymond Nize sighting was discovered in 2006 at Econlib, in a comment discussing LA. Robert Wallach (the new alias mentioned in the first update) was found to have published a piece over LRC (SS). Update 3: Two weeks later a new source sent me new information regarding another Wenzel/Nize alias that was involved in penny stock scheme of a company called IVAY (Investigative Services Agencies). 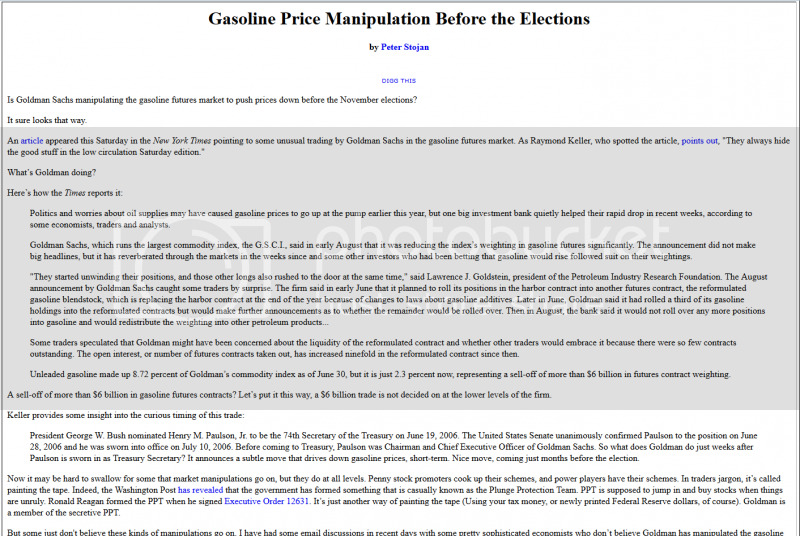 At one point IVAY promoters used a notorious “pump & dump” message board (Investor Hub) — which was heavily active during February – March of 2007 during a price rise of over 100 percent .07 to .26 (see several hundred posts here). Users stevo51 and creede claims to have spoken to Ray several times during this period: 1 2 3 4. This company produced a number of PR notices claiming that “we [IVAY] anticipate hiring more than 400 new employees and a multimillion-dollar increase in revenues over the term of this contract.” PR news source: 1 2 3 Keep in mind the company had $6,425 in cash as of December 31, 2006. The stock then got suspended March 8, 2007 as part of an SEC crackdown of 35 companies that were accused of manipulation and failing to disclose material information to the public. According to the Rip Off Report complaint a police report was filed May 5 because of theft. This IVAY firm involves yet another Nize/Wenzel alias, named Raymond Walkosz (rw@stomarpartners.com) who was the “president and founder of the financial public relations and investor relations firm Stomar Partners. Walkosz has represented companies trading on the American Stock Exchange, NASDAQ, the OTC Bulletin Board and the Pink Sheets.” According to DeletedDomains (which tracks domain expirations), stomarpartners.com was vacated on March 10, 2006 and is empty today. This same IVAY issued a press release listing 100 VIPs invited to a Beverly Hills gala; Raymond Nize was a named guest. 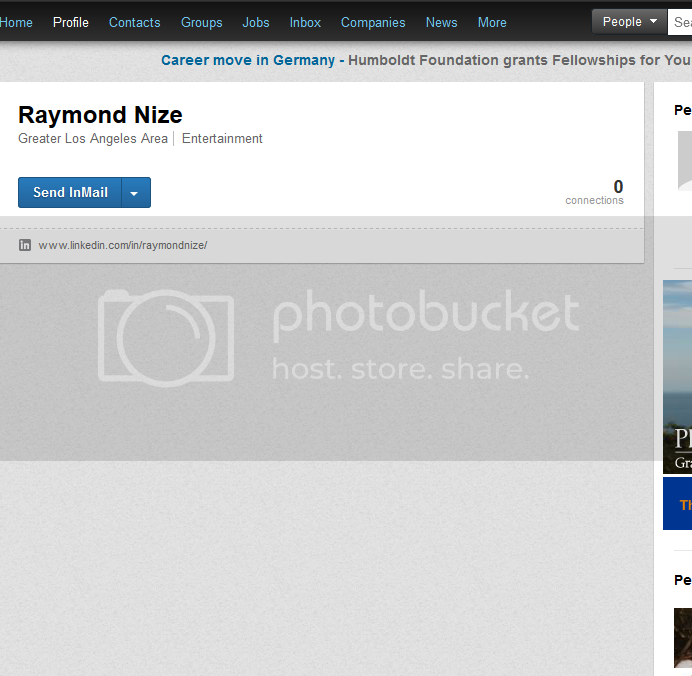 This same Nize may be the creator of an inactive LinkedIn profile (SS) which lists his residence as LA and industry as entertainment. In addition, the case noted above (# 37-2007-00064264-CU-BC-CT), the outcome was judgment by default — the plantiff was awarded $95,439.95 damages and $10,809.55 prejudgment interest at 9.75%. This case involved a stock sale agreement between the parties (Nize/Wenzel was a defendant). 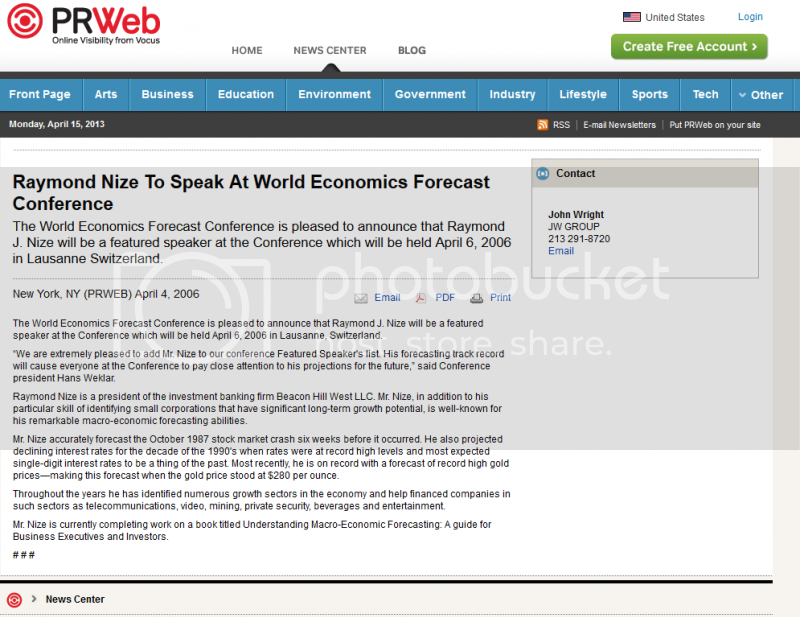 In 2005, this same Raymond Walkosz alias published at least one more PR release, this time promoting another seemingly phantom company called Worldwide Manufacturing USA (website) that is another penny stock (OTCBB:WMFG), yet it does not seem as if the company produces or sold anything and its CEO, Jimmy Wang, has been thus far unlocatable. See more details at the Acceleritas thread and at the Mises community forum. 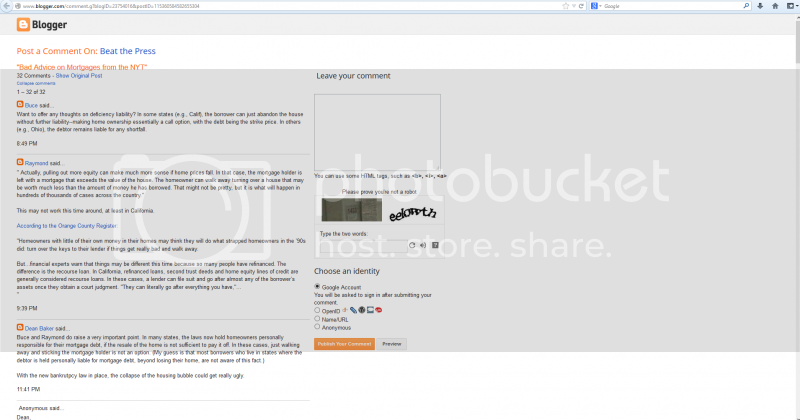 Update 4: This blog has received trollish comments from a “Paul Trombley” (paul.trombley@yahoo.com). A bit of cursory googling reveals that this same “Paul” has similar interests as Nize/Wenzel and even quotes Nize/Wenzel in various threads on sites like Mises.org. See this post longer post here. I attended the Shanghai BarCamp on March 23 at the Hult Business School. A day of exhilarating topics ranging from agile project management to decision theory and negotiating tactics to gamification and 3d-printing meant I walked out with a ton of new ideas and refreshed views on things. The event boasted 40+ topics so there was sure to be something for everyone. A must-go when they organize it again next fall. Maybe I’ll even present something myself next time. Have you attended any similar events or expos on the mainland recently? Send me a message and share it with us.